Last year, on September 23, 2010, Asher Brown, 13, of Cypress, Texas shot himself in the head. Asher had suffered under constant harassment from four other students at Hamilton Middle School in the Cypress-Fairbanks Independent School District. Asher’s parents joined us at the TEN conference. The night before the press conference, Todd Ferrell, President of TEN, introduced Asher’s parents, David and Amy Truong, to a room filled with glbt Christians. In front of the general assemblage of the conference members, Todd apologized for the part religious bullying played in Asher’s death. In the year prior, not one church group had taken this brave and healing step of public apology towards this non-Christian family. A time followed of group prayer for healing towards the wounded Truong/Brown family. Lots of tears flowed; the Truongs and glbt Christians are sadly well aware of what hurtful things religion can do when judgment is inflicted on the outcast. Todd called on Evangelical churches to take a stand against bullying in their houses of worship to ensure that they become safe places without fear of retribution, ridicule or judgment for glbt youth. 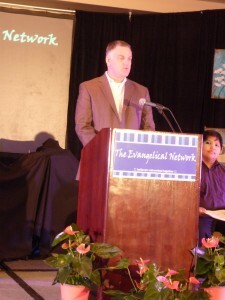 Reminding Evangelicals that bullying is not a Christian value, Todd asked other Christian leaders to join him in standing up for the marginalized, oppressed and vulnerable. 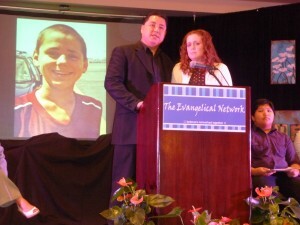 Next, Amy and David Truong told the gathering about their son, Asher. He was a child who stood for and with the other school outcasts. David Truong said, “Our son was bullied for being too small, having big ears, having a lisp, for being perceived gay, for having different religious beliefs, not wearing the latest fashion or carrying the newest fancy phone. Anything one can be picked on for, Asher was.” Despite numerous complaints to the school district by the Truongs, no action was taken to stop the bullying and in fact, those complaints were later denied by the officials. There is a suit pending against the school district. Pastor Leslie Tipton, Church of the Holy Spirit Song, FL then read a letter from Tammy Aaberg on the one year anniversary of the death of her son, Justin Aaberg. 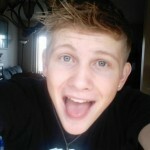 Justin was 15 when he hanged himself; he had come out as gay at 13 in Anover, MN. He was the fifth child to commit suicide in the school district in an eight month period; three of those five children were gay. The bullies were not spoken to about their behavior, nor was there a policy in place to protect glbt youth in the school district. College student, AJ Guerrero, shared her experience of being bullied in school. 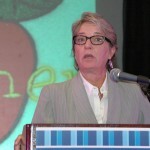 It lead to her involvement in the Texas Gay Straight Alliance Network. “My fear of being outed as a lesbian resulted in my grades dropping dramatically, lack of social contact, and the paranoia of the question “who knows about this?” AJ is now a college intern with the Texas Gay Straight Alliance Network. 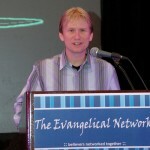 Pastor Eric Hull, The Gathering Place Church, Austin, TX made clear that the central message of Christianity is love. He expressed equality for all God’s children in the Christian faith. Todd ended the press conference with a call to Christians, and Evangelicals in particular, to stand against bullying and to support stronger Federal laws to protect all youth. He called on the State of Texas to enforce the Asher Law on Bullying with a Zero Tolerance Policy in its schools. I was honored to be present at this event. During the last year, conservative family groups have taken public stands against legislation that punishes bullying of glbt youth. These groups will often say making “special” laws will validate the existence of glbt youth. These youth, they reason, should not be making these wrong choices and hence, should not be protected in those unhealthy choices. In May, I became directly involved in a case in Illinois where a 16 year old boy was horribly harassed by two fellow students. His youth pastor had filed restraining orders for the child’s single Mom. The high school principal refused to honor those documents that would have ensured the safety of the child. 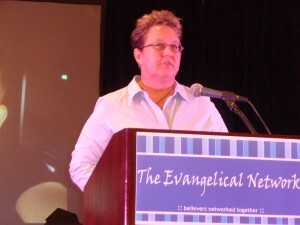 I connected this pastor friend with my direct contacts at PFLAG- National. Together, a group is now obligating the principal and school district to enforce the law. Even with legal documents, this child was at high risk because of school neglect. Enforcement and zero tolerance are key. As a Christian, and a close insider watching the treatment of glbt people by the church, I am appalled at the lack of firm stand we take on protection of this oppressed group. Rather than leading the fight for justice and equality, it is the Christian church that has been the most formidable opponent to equality and protection. As we struggle through the issues of homosexuality and faith, I implore those in the Christian faith to make our houses of worship reflect the heart of the Lord we follow. He would not ridicule, harm or reject another person for any issue. Not only is bullying not a Christian value, protection of the other is a Christian value. For our schools, let us support laws that protect glbt youth and insist that these laws are enforced in our States and communities. Glbt youth are the most vulnerable of the vulnerable, protect them.